This is the only occurrence found in the Tanakh using The Keys (it does not do toroidal searches). started, and "Nicodemus" intersects the name "Joseph". 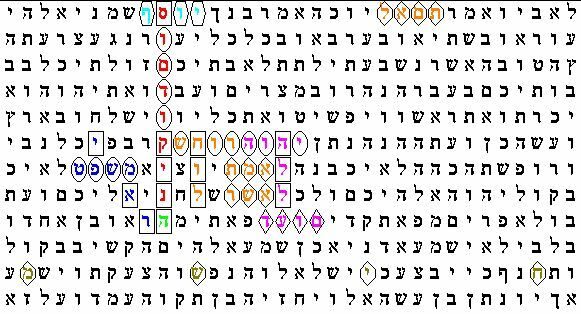 The word "Hallel" shows. This is Psalms 113 - 118 and was sang as a hymn on The Passover, and the word means "praise". The keystone to the entire Bible. And it also intersects with "feast". The word 'threnody' overwrites 'Nicodemus' and means "dirge", "lament", or "wail".